Show Them. Don’t Just Tell Them. A bikini-clad lady sits on a beach with the soothing sounds of waves crashing against the shore before her, a tropical drink beside her, and a plush, luxurious bed awaiting her return. For two seconds, you were immersed into the imaginings of this fictitious woman—whether you wanted to be her or be with her. The power of suggestion can be as poignant as its most beloved counterpart: reality. And it is the rhythmic dance of both that ultimately sells vacation experiences. Armed with this understanding, we work diligently with vacation ownership providers to design dynamic, interactive sales presentations to empower their representatives to produce smarter, faster, and better. You see, interactive sales tools are no longer just an option for potential high sales performance; in today’s highly competitive marketplace, it is a necessity. According to a recent independent study by Sales & Marketing Management, 40% of prospects are converted to new customers through face-to-face encounters—leading to the belief that with the right mix of appeal and positioning that number can rise faster than the Atlanta Falcons slogan. Furthermore, evidence is plentiful that when a brand invest in transforming its print collateral to emulate the characteristics of a microsite with multimedia content, it can make a tangible difference in selling situations. 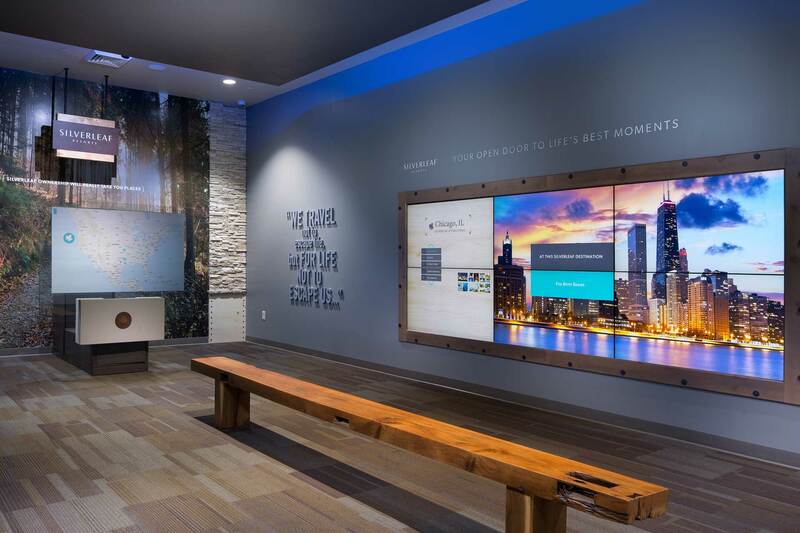 For example, our reimagining of the Silverleaf sales floor to include a wall-size, touch screen interface has catapulted them leap years in front of their competition, leading to astonishing growth and industry acclaim. Driven by a new set of technologies, interactive sales tools allow teams to reach potential vacation owners in ways they haven’t been able to before. By leveraging these technologies, they are better able to showcase exotic resort locations and any accompanying products in real-time to close deals. Consequently, vacation ownership providers should prioritize empowering their sales force with more compelling and engaging sales solution—and they can start by making an interactive sales presentation their next, and primary, marketing collateral piece. Brand Tango is an award-winning branding, design and digital incubation agency located in South Florida. We focus on crafting brand stories, positions and messages that perform in the analog and digital spaces as they build emotional and cognitive connections with real people.